While making my usual internet rounds last night and trying to figure out what to post for today, I came across a few giveaways on some of my favorite local blogs. In saying that I thought I would share with you some of my great finds. If you see one you like don’t wait, some of them end today! Visit Arrow and Lace Designs Blog to enter to win a pair of passes to the Chilliwack Corn maze! Giveaway closes October 8th, enter HERE. Visit North Shore Mama to win a pair of passes to Disney on Ice when they visit Vancouver this fall, enter HERE. Visit Bits of Bee to win a $30 gift card to Vonbon and scoop up a 15% off code to use on their site as well, enter HERE. You can also head on over to the Vonbon Blog to win some of their goodies by pinning on Pinterest, visit HERE for more details. 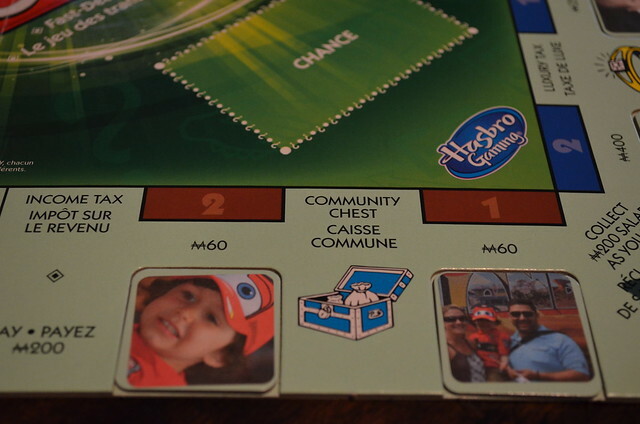 Lastly if you visit One Smiley Monkey Blog you have a chance to win a My Monopoly game, enter HERE. And there you have it, a few Win It Wednesday ideas.